Erythema nodosum is swollen fat under the skin causing red bumps and patches. It usually goes away by itself but it can be a sign of something serious. Erthema nodosum usually affects the lower legs, but can spread to other parts of the body. Check other types of lumps. The bumps and patches last about two weeks before fading like a bruise. They usually heal completely on their own within six weeks without leaving a scar. Your pharmacist may also suggest you see your GP. Your GP should be able to tell if you have erythema nodosum by looking at your bumps and patches. If your GP thinks your medication might be causing your erythema nodosum, you may be advised to stop taking it. Don't stop taking your medication without asking your GP first. 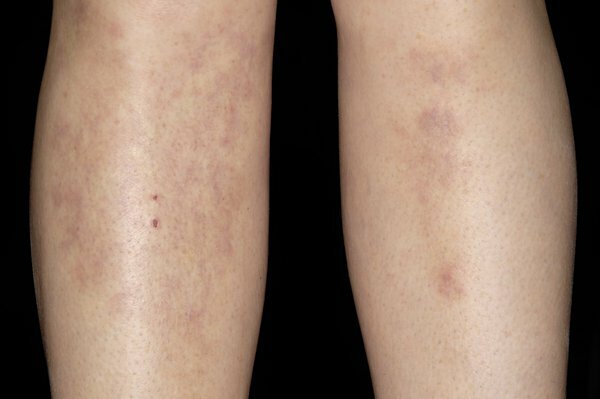 Erythema nodosum can be caused by lots of things but often the cause is not known.